Maryland's official state website, www.Maryland.gov, has again been recognized as one of the top government websites in the Center for Digital Government's prestigious Best of the Web Award competition. Maryland’s award-winning official emergency management mobile app, MARYLAND Prepares, launched by the Maryland Emergency Management Agency (MEMA), has been enhanced to provide real-time regional emergency alerts. NIC’s Maryland subsidiary, the State of Maryland's eGov Services Partner, has earned the prestigious Best Fit Integrator Award by eRepublic's Center for Digital Government. The Maryland Department of the Environment (MDE) launched their online Invoice Payment Service that allows business customers to pay invoices for permits and other MDE services online. The Maryland Department of Agriculture (MDA) has launched an online Pesticide Licensing and Certification Renewal Service that allows the renewal of pesticide business and employee licenses, certificates and permits. Water-enthusiasts can discover nearby waterways directly on their wrist with the Maryland Department of Natural Resources' (DNR) new Apple Watch app, paired with the AccessDNR mobile app. 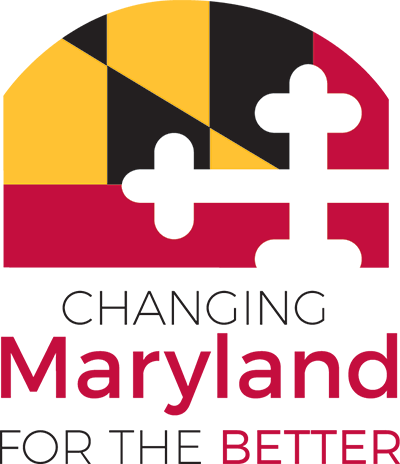 The State of Maryland has received a StateScoop 50 Award and was recognized by the International Association of Commercial Administrators as one of five Merit Award recipients for the Central Business Licensing & Registration Portal. Mobile-first refers to designing and developing websites for smaller screen sizes, such as those found on smartphones. The newly designed state website focuses on providing quick access to online services and user personalization features. The award was presented to Maryland for their commitment to streamlining processes and making government operations more efficient for business owners with the implementation of Maryland’s Central Business Licensing and Registration Portal. The Maryland Department of Agriculture (MDA) has launched an online Weights & Measures Device Registration Service that allows businesses with weighing and measuring devices to pay for the renewal and obtain the certificate online. Comptroller Peter Franchot reminds taxpayers that they can skip the hassle of waiting in long lines or mailing checks and make their tax payments online with the mobile-friendly Comptroller Online Tax Payment Service. ​The Maryland Motor Vehicle Administration (MVA) recently announced the addition of the Department of Transportation (DOT) Medical Certificate information to their Instant Online Driver Records Service. The Business Personal Property Return Filing Service is the latest addition to Maryland’s Central Business Licensing and Registration Portal (CBL Portal) which was created to make it easier to conduct business in Maryland.